We’re proud to announce the Original Broadway Cast Recording of THE PROM, set for digital release December 14th and physical January 11th . Available for preorder now, the album is produced by Scott M. Riesett and Tony Award Nominee Matthew Sklar, with music by Sklar and lyrics by four-time Tony Award Nominee Chad Beguelin. Arriving with today’s pre-order and available now to download/stream is a brand new track from THE PROM, “You Happened,” giving fans an early listen to the musical comedy ahead of its Broadway debut this Tuesday, October 23rd at the Longacre Theatre. 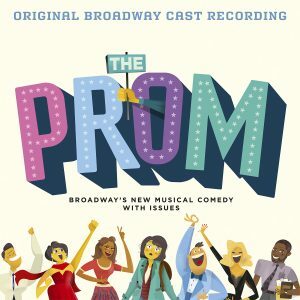 Preorder The Prom: Original Broadway Cast Recording here.